A home should be your pride and joy. It’s your biggest investment, so it’s worth it to add value to your home. 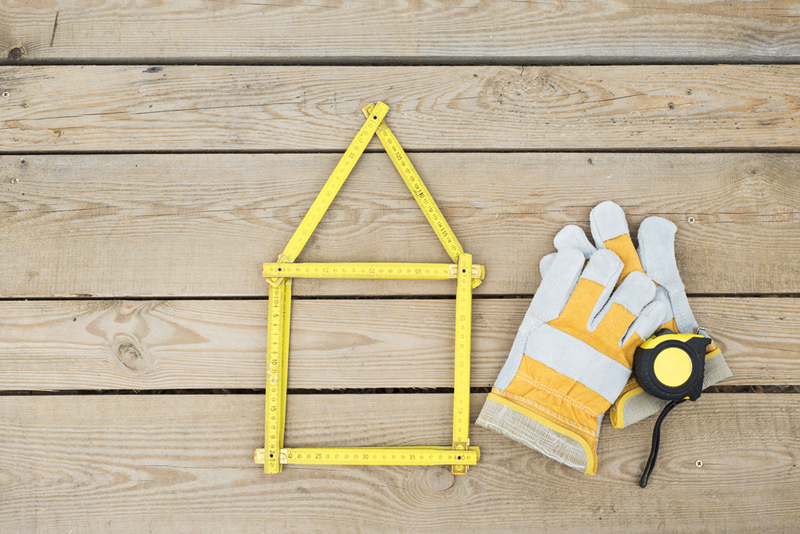 Whether you plan to make your current home a forever home or you have an eye to putting it on the market, consider these top three home improvements that add value to your home. If your home lacks curb appeal, realtors suggest upgrading the exterior of your home before putting it on the market. Potential buyers will skip the tour inside if they don’t like what they see outside. Quick fix: If you can’t afford anything else, make sure your front door says, “Welcome!” A new steel door can range from $300-$1,500. But a new door might be exactly what you need to get buyers through the door. For a few extra dollars, add a pot of eye-catching flowers and a new doormat. Minor remodel: Have the shrubs obscured the house? Overgrown landscaping can be trimmed and pruned for minimal cost. Do the work yourself to save even more. Power wash or repaint the siding. Reseed bare patches in the lawn. If that’s not enough, replace the lawn with new sod; you’ll get every penny back that you spend greening your lawn. Spruce up the driveway and sidewalks by repairing cracks. Major overhaul: Depending on the age and condition of your house, consider replacing the siding. Cement-fiber siding is pricey, but it really pays—a 103% return on your cost. If your windows are falling apart, replace them with energy efficient ones. You’ll likely recoup 90% on your investment. Even when you don’t recover 100% of your investment on resale, you still add value to your home. It’s difficult to calculate how much you can lose on the sale of your house when it sits on the market without an offer. Don’t give buyers a reason to pass on it. The longer your house sits, the lower your offers will be. How many times have you heard, “Kitchens sell houses”? That’s why a kitchen upgrade will add value to your home. However, before you gut your kitchen and knock down walls and relocate the plumbing, assess what upgrades your kitchen really needs. Kitchen remodels can be costly and not all buyers will fall in love with your choices. Quick fix: If the cabinets are in decent shape, consider painting them and swapping out the hardware. Replace worn-out flooring with new vinyl. Minor remodel: Refurbish the cabinets with new door fronts. Replace the countertops and sink. If your likely buyer is a Millennial, skip the granite, which is high maintenance, for quartz or other low maintenance material. Upgrade aging or mismatched appliances with new ones. Major overhaul: Gut the kitchen if the layout is awkward. Add square footage or create an open floor plan. Make sure cabinetry is high quality. A major kitchen remodel budget should be roughly 10-15% of your home’s value so as not to disappoint buyers. Expect to reap a 90% return. Regardless of the extent of your remodel, consider the overall value of your home and the homes in your neighborhood. Don’t upgrade beyond what the housing market will bear if your project is designed to put your house up for sale. Another sure bet to add value to your home is to fix up your bathroom. Nothing discourages a potential buyer more than the prospect of having to update the bathroom before moving in. Don’t give that prospect any excuse not to buy! Quick fix: A fresh coat of paint and new tile can go a long way in sprucing up a tired bath. Re-glaze the tub instead of replacing it. Minor remodel: Expect to spend $10,000 on a minor remodel project. Replace all the fixtures as well as wall and floor tiles, leaving the original footprint in place. Do it right and you’ll get back more than you spend on it. It’s possible to recoup 102% of your cost. Major overhaul: Any time you add square footage or reconfigure the placement of the fixtures, which requires re-plumbing the bath, you’re in a major remodeling category. Major remodeling projects generally net you a 93% return. When it comes time to add value to your home, keep an eye on your budget. Do your due diligence in hiring a contractor for a major overhaul. And don’t forget to shop for your best options for a home improvement loan! Make United Financial your first stop for financing options. Whether a $1,000 personal loan is all you need or your remodeling budget is over $50,000 and you’d like to learn more about a home equity line of credit, our loan officers can find the right financing to add value to your home. Give us a call today!